I sat down on the sandy ground to get a better angle to the photograph the pangolin as it emerged from the sun-bleached grass. I don’t have too many rules when I take pictures of animals, but one piece of advice has always rung true: get on eye level with your subject, and you’ll get a more interesting shot. 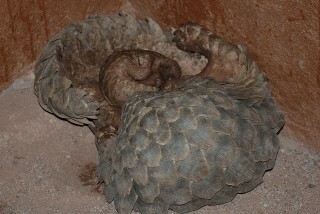 Pangolins are small and hold their heads quite low to the ground. As I leaned back, I realized, not being in my thirties any longer, the challenge wasn’t getting down to get the shot, it was getting back up that would shortly pose a problem. 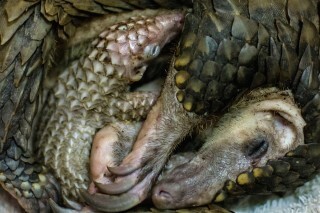 Pangolins, known as scaly anteaters, are among the most trafficked animal in the world today. 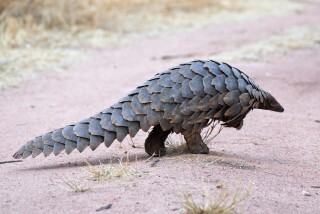 All eight species of pangolins are listed as Appendix II under CITES, which means trade is regulated with permits required from exporting countries. For the four Asian species, CITES passed a zero export quota, which bans all commercial trade in those species. 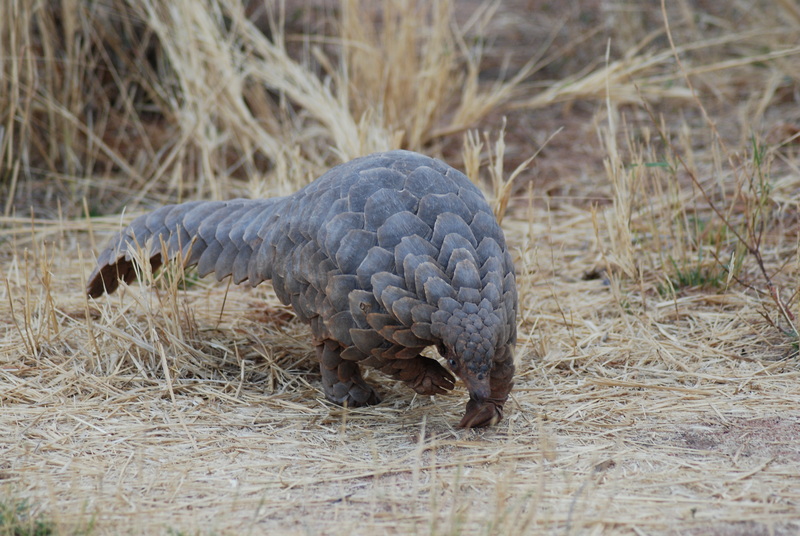 China is the main market for these animals, and the demand there, combined with habitat loss, is driving all eight species towards extinction, including the one I was facing eye to eye in Namibia. As I sat in the sand, I was able to snap some interesting photos of this beautiful animal, and in the end, regain my feet without too serious a loss of dignity.